Kite is a symbol of high ambitions and upraised vision. It speaks that you can touch the skies as high as you like by overcoming all the obstacles of life. Likewise, flying Kites is a way to see the sky, feel the wind, watch the effect of invisible air. The celebration of the Kite Festival happens on the occasion of Makar Sankranti. Above all, when it comes to joy how IPERIANS can miss this joyous festival? A very appealing event of Kite Festival was organized at IPER UG celebrated by students. On the occasion of Makar Sankranti, Kite Festival take place. It is an important ritual to fly kites. Cross cultures, age groups, social groups. Kite flying has been part of Indian tradition for centuries. Gujarat International kite festival held in Ahmedabad is the oldest kite festival. The day brings happiness and joy with colorful flying kites. Most importantly, there are numerous fringe benefits to this outdoor activity. It brings human close to nature which helps in improving mental health. Kite flying does wonder for one’s eye health and prevents myopia. Flying kites help in maintaining a lot of concentration and also promote the flexibility of the body. Kite flying develops creativity and as a result, regenerates energy by reducing stress and tension. Lastly, IPER UG has always promoted creativity and socializing through such activities. Kite indicates high ambitions and elevated visions, the same thought resonates with IPER. 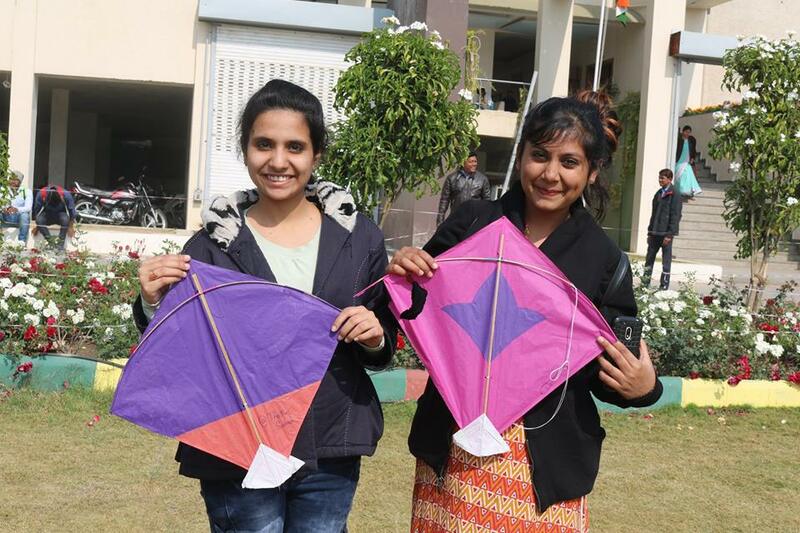 Students participated with great enthusiasm and made it a perfect Makar Sankranti celebration.